Nobody is immune to stress, but when used as part of a healthy lifestyle, Y-Age Aeon delivers powerful relief without a trip to the doctor or pharmacy. As a result, you’ll experience a greater quality of life, with no negative side effects. Each patch is exclusively designed to reflect particular wavelengths of light that stimulate specific points on the skin. This enables each patch to provide unique health benefits (e.g. pain relief, increased energy, etc.). No drugs or chemicals enter your body. How Does This Relate to Stress Relief? 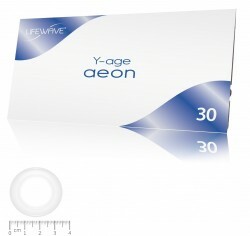 Y-Age Aeon reflects particular wavelengths of light, which stimulate specific points on the skin that decrease inflammation and increase antioxidant production in the body.